All types of home sales and loans can have an escrow account. 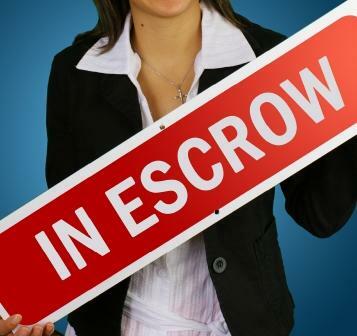 Escrow law, USA-style, establishes the procedures that must be followed by a lender if they require a borrower to have an escrow account with their mortgage loan. Be sure to also check the requirements in your state, as your state's regulations may be different than the federal laws. Money or other items of value are said to be in escrow when they are held in trust in a holding account until a specific action is taken. At that time, the money or valuable items are distributed according to the terms of the escrow account. Mortgage escrow - An account set up in the borrower's name by a lender to accumulate funds from the borrower to be used by the lender for projected expenses. When a real estate sales offer is accepted by the seller, an escrow account is established. The account is opened and held by an escrow agent who often works for the lender or the escrow company. During the closing process on the real estate sale, the escrow account is closed and the remaining money and items in the account are distributed to the buyer or seller as appropriate. A mortgage escrow account is set up by the lender in the borrower's name. The account is used to hold the funds collected each month from the borrower for the future payment of taxes, homeowners insurance and mortgage insurance by the lender. When the tax or insurance payment is due, the lender pays the bill using the funds accumulated in the mortgage escrow account. In 1934 the federal government mandated that all FHA-insured mortgages have an escrow account. Eventually, it became very common for lenders to establish escrow accounts for all types of mortgages. Having the tax and insurance money set aside assures that the homeowner will have enough funds set aside to meet these expenses. The Real Estate Settlement Procedures Act of 1974 (commonly called RESPA) was enacted by the federal government to establish the procedures which lenders must follow in collecting, managing and disbursing escrow funds. RESPA does not mandate that all mortgage loans have an escrow account. However, if the lender chooses to have an escrow account, RESPA limits the amount of funds that can be required from the borrower to be held in an escrow account. Limits the amount lenders can maintain in an escrow account. The account can have a maximum balance of one-sixth of the total projected expenses which are going to be paid from the account. This ensures that only enough money is held in the account to meet needs for the next two months. Limits the amount of money which the lender can collect each month for the escrow account. The lender can collect up to one-twelfth of the total amount of the estimated insurance premiums and taxes. Requires the lender to issue an itemized statement when the escrow account is established. Requires the lender to issue an itemized annual statement of all money received and disbursed from the escrow account. Requires the lender to make the tax and insurance payments prior to their due date as long as the borrower remains current on their mortgage payment. Requires the lender to notify borrowers if there is not enough money projected to be in the account (called a projected deficiency) when the taxes or insurance premiums are due to be paid. Requires the lender to collect money from the borrower to increase the funds in the escrow account to meet any projected deficiencies. The money can be collected either in additional monthly deposits or in a lump sum. Pay interest on the funds held in the escrow account. Take advantage of any discounts offered on taxes or insurance premiums when bills are paid annually instead of in separate payments throughout the year. The lender can use the escrow account to make installment payments and to pay any special fees charged for making installment payments. Have lower limits for the maximum amount of money that a lender can hold in a mortgage escrow account. Under RESPA, the federal law, the maximum balance allowed is one-sixth of the estimated expenses to be paid. Require interest to be paid on escrow accounts. Regulate the licensing requirements for escrow agencies. Individual escrow agents do not always have to be licensed. Acting as a referee in disputes between the parties involved in the escrow. Favoring the lender in a real estate transaction. If you have a question about escrow law USA, an escrow account or about the escrow process in general, you should first ask your lender. They will be informed about the regulations which they must follow and their specific procedures. If you don't feel that you are getting your question answered, or if you feel that you need more information, contact your state's Department of Insurance. Their telephone number will be located in your state's website.